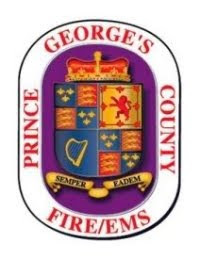 All Prince George's County Fire/EMS Stations, Headquarters and worksites have been designated as Toys for Tots Collection Points. You are encouraged to drop off new and unwrapped toys for children of all ages. Donated toys will be distributed to local children during the Holiday Season. 34th Annual Public Safety Holiday Food Basket program is underway. 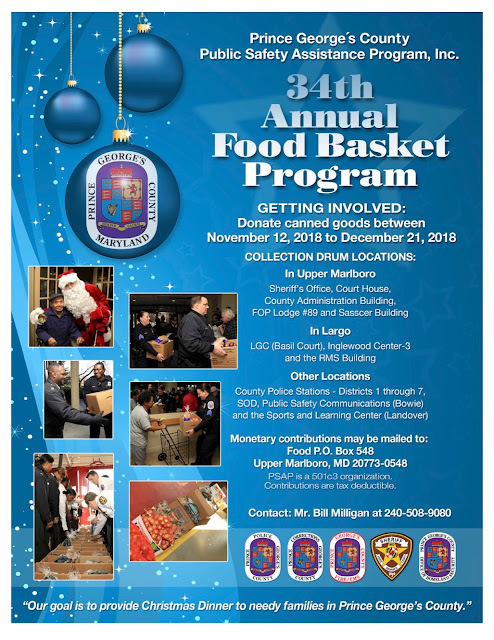 The Prince George’s County Public Safety Assistance Program’s (PSAP) 34thAnnual Christmas Food Basket program is underway. MEDIA ADVISORY "Save the Date" - Public Relations/Media event in advance so that you can put it on your calendar to attend. 2901 St. Joseph Drive, Springdale, MD 20774. The day will start with a "Hearty Fireman's Breakfast" at 7:30 AM. This is the BEST BREAKFAST in town!! We appreciate your continued support of the Christmas food basket program.